Whether you’re going for a traditional or modern feel, the Knotwood privacy panels & railings are what you should be considering. 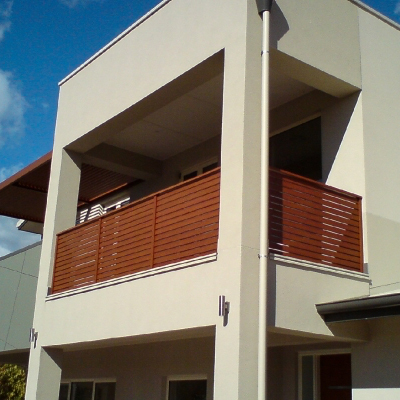 These timeless, yet versatile aluminum installations are safer, easier to use, and strong than wood. We all know wood fades and warps over time resulting in more maintenance and upkeep than aluminum alternatives. With Knotwood’s aluminum privacy panels you can finally get the privacy you’ve been looking for, while still giving the appearance of the natural wood you’re after. The panels are safe for use indoors or outdoors and come in a variety of colours to match your home and the surrounding area. You don’t have to compromise your home’s aesthetics in order to get more privacy. Request a quote from Mr. Cover All today to get started!